Check out the free year in review and new year’s resolutions for kids printable over at Digital Mom Blog. This is a fun way to have your kid capture their favorite things for the year as well as write down some new years resolutions for the new year. Who said goal planning at 4 months was a bad idea? Zeke has big plans for the upcoming 12 months. 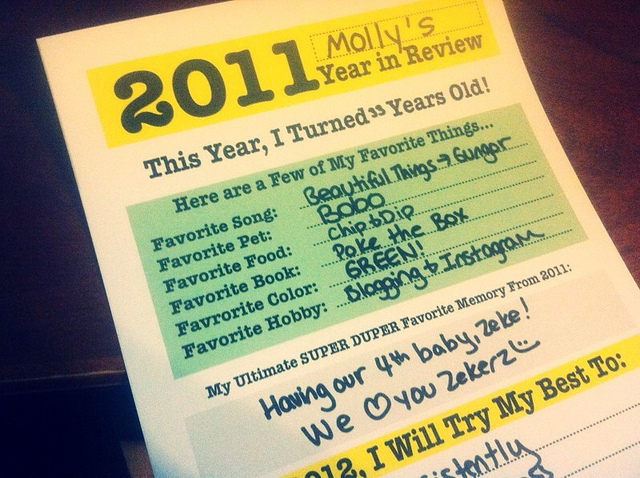 Oh and yes, Molly did write chip and DIP. Give her a break, she did that post at 4:30 in the morning. Nope, not kidding – helllllloooooo insomnia, nice to see you again.